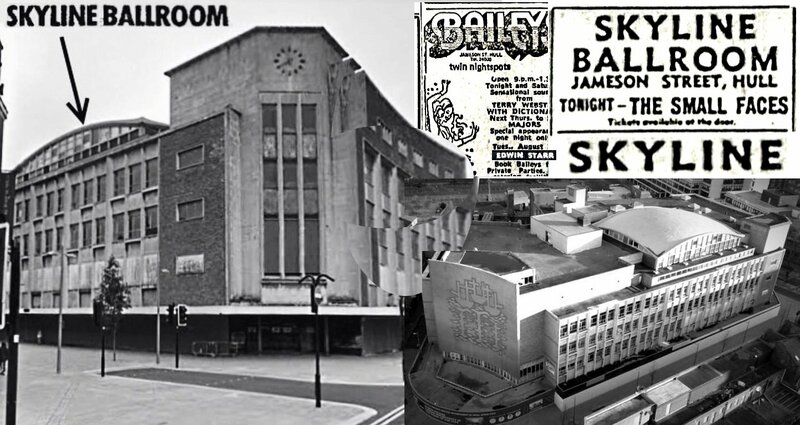 Is there anybody on this forum who may have travelled to Hull in the very early 1970's by coach or even car to attend 'Baileys', which was situated on top of the Co-op building in the city centre? Carl well before my time mate, wasn't even born in 71! Wasn't it Romeo's on top of the coop? Blimey - Centre Bar! That was a hotel and you could walk in wearing anything, yet Trogg Bar, I was not allowed in because I had sandshoes on and might step on some broken glass. Tim Jibson was the DJ. He had some fantastic stories about the place, especially when The Detroit Spinners came into the disco area (not the live) and did their routine to those early Philly hits they had, right there on the dance floor. Tim was telling me that at one point he was providing other DJ's American singles to play on their sessions. I have just got back from Hull and must admit, the centre looks good. There were actually people shopping and cues here and there. And I think the Marina looks fabulous. What about the Minerva re-opening again? Where was the Brunswick? It rings a bell. Do you remember Malcoms or Scamps, or even the Beerkeller? Hi Carl nice to see you at Hull Soul Club(any news on single releases)I was only 9 in 71 & did much the same as Steve Woomble.Did not realize that Tim Jibson was a soul lover he was on local radio (KCFM) until recently. Wonder if he still has his records? Hope you can make it on 9 October for our 9th Anniversary with Ian Dewhirst. Hi Daryl. It was certainly nice to meet you and chat etc. You all certainly know your stuff. It was a breath of fresh air to talk about the music rather than health and hospital issues for which I was visiting in the first place. I really wanted to stay later (especially as I had a great parking spot on the front! ), but I needed to get back to my parents place for obvious reasons. Yes, Tim is a big soul fan He, Steve Massam, Charlie Hanna and a guy called Paul were the jocks in 1973 when I started going to Baileys. They are 100% responsible for me liking 60's and 70's soul in the Detroit/Philly vain. Without their choices and what they played, I would never have known about The Fascinations, Formations, Jay & the T,Bobby Hebb, Al Kent, Sons of Robin Stone, Al Downing, Don Downing etc. Because of that, I had a vision to go to the States. They are part of the story. Tim still has all his original records in the same cases. All numbered like back in the day. He was one of the very first DJ's in Hull to gig on a dual customised record deck contraption! I can't make the 9th. I am working that whole weekend, infact for 5 days. It's a real pain. I loose almost 20 odd weekends a year like this. I am up next weekend for a family 40th. I would really have liked to surprise Ian though. That would have been funny! Another specialist who knows the drill. As for the singles, the 2nd batch of test pressings have not been made yet. There was an issue with the first batch. As I work in TV my audio standards are quite high and I hear odd things on any medium. I probably am a little too critical, but I guess in the grand scheme it's worth dotting the 'i'. I will let everybody know when they are available. Bit of a coincidence, but I took a two hour drumming lesson whilst up there, and the guy plays those amber coloured drums on your stage at the club on a Saturday night. He's a great drummer. next time I am up, more lessons!! Carl I didn't get into NS properly till Oct 72 but I remember Bailey's, went there with my mates from Hull when I was an Apprentice at Aerospace (Hawker Siddeley then), went on train or cadged a lift there, buggar to get home from as last train left at 11pm, so next one was 5am Milk train, remember you went up in a lift or by the stairs & the main room played Pop but the back room played all types of Soul music & I still can see the place when ever I hear Joe Simon - Step by Step, other place I remember in Hull for Northern was the Centre Bar on a Sunday night other than that Hull was a Northern Soul wasteland, a bit like Leeds, Big City but hardly any Soulies, unless it's 5 minutes away by Bus. Spot - I had a mate that worked at Hawker Siddley called Pat Fitzgerald! Ring any bells? Where was the Brunswick? It rings a bell. Do you remember Malcoms or Scamps, or even the Beerkeller? Steve - is that the same Paul that worked in Sydney Scarboro's selling records then? He had some great records. He really knew his stuff. I remember buying 'Backfield in Motion' from him and he knew the catalogue number off by heart! He also spun a new record for me and said it would be a hit called ' You Little Trustmaker'. The rest is history. As for the Beerkeller, don't use the mens after 9pm, as there was two inches of urine on the floor in there! And with long baggies, you could see it soaking up the legs about 5 inches ha ha! You know something, I think I will try and contact Paul! He is part of the story. The 'DJ' is a massive influence on all of us. My life changed because of the work these few men did at Baileys/Annabellas. They must be acknowledged. They would empty a dance floor to break a new record. Weeks later, the same record would fill the dance floor. I remember buying about 10 copies on 'Yesterday (was just the begining of my life)', by John Miles on an orange 'Orange' label. I took it to Annabellas and Charlie Hannah played it. No response! I left the country for a year to live in Holland and returned to see it being played and filling Tiffanys dance floor. It was a thrill to see Charlie, doing that type of thing. Always wanted to give songs, records and people a break. Yes, I recognise the Brunswick now. 'Scamps' had the best sound system I have ever heard in a disco. The high frequencies were unbelievable. Carl Christian and Carl Kingston DJ'd there back in those days. I never really liked Bali Hi. Never got to Malcoms, but that is where the likes of Donne Elbert would appear late60's early 70's. Blimey, I could talk forver about this. And Yankee Burger - best I have ever tasted to this day! My mum remembers that parade as being 'Chariot Street' before it was bombed in the war. She worked down there in the 1930's in a flower shop! I used to trip off to Wigan and later Bensons in Bradford, the car was owned by? But there were me, Mark Robbinson, Sean "Mick" Kerney, Barry ? and another chap. Megga times! Steve - is that the same Paul that worked in Sydney Scarboro's selling records then? You know something, I think I will try and contact Paul! He is part of the story. Not sure on that one Carl?... When you up here next? Nip in for a jar at his boozer and ask him! I remember buying about 10 copies on 'Yesterday (was just the begining of my life)', by John Miles on an orange 'Orange' label. She worked down there in the 1930's in a flower shop! Not that I'm 74 or owt, but I do remember the flower shop being next to Pioneer Cafe. It was kind of set back from the road in a little sqaure, behind what would have been the frontage of Yankeeburger. I think the story was that John Science owned Pioneer as an American style cafe bar kinda thing (I clearly recall going in with me mam and remember thinking how cool the sugar shakers were) then he turned it into Yankeeburger (i think he actually called it Yankeeland). Burger heaven. Not to mention 'Frank The Yank' and 'Frank The Kraut' (the foot long frankfurter thingies). Happy days. 'Malcoms' became 'Bali Hi' down George Street towards the University end. I never got there. I think Charriot Street would have gone through Yankee Burger backwards away from Jameson Street. I think that set back bit is the old entrance to the street, sort of rebuilt after the blitz. I used to know Martyn quite well years ago and I lived down the same street as Mark Robinson, known him since I was a lad, and been to many a nighter with him. We must know each other mate ? Is Martyn still into the music ? Nice to see ya mate. Not herd from you for a while, not since you sent me that link to your music. Of course I remember Bailey's Rick Poskitt and I where ardent supporters of the establishment. We once dance on stage with the Four Tops in the cabaret side. The Paul you spoke of if I remember correctly worked at Sid Scarboroughs and then managed the shop till it closed. I used to take sounds in quite often and the jocks would sometimes play the odd one. I remember a coach load of guys coming in once and an insturental was played and these guys did a clapping routine to it, fair blew my socks off. It was about 72 when we started going to Vikings at Goole as Spot will recall the bank holiday dayers there where super. Bailey's for me was more a home than a club I used to collect glasses Monday to Wednesday for £5 a night then Thursday - Sunday spent giving it back. Remember the stupid things you did as a youth like finishing work at 10pm going to Bailey's then getting home at 2am and up for work at 6am and then repeat it all over again. I also frequented Centre Bar along with Scouce Terry and Johnno then of course there was the Soul Club at Centre Hotel on a Sunday that would have been 73-75 though as I can remember driving back to camp when I was in the RAF at Linton-on-Ouse afterwards with ears ringing still thinking I could hear Dobie Grey Out on the Floor in the background. , a shag down the third floor and a battle lol good times. But who remembers Rocky, Kev Gooch, Paul & Pete Madden, Me and Andy, Glen Bables, Steve Kingsley PETE not Terry HARDMEAT one od the best spinners Ive ever seen! Who else? Jonno, ZAK Pete Earl?? Eeeee SPOT hope yr well Pete not seen you since Burnley nighter. After I moved to Scarboro it seems I was forgotten eeeeee Billy no mates. Blimey Andy N. Good to see you on here. Now you mention the glass collecting, I vaguely remember seeing you do that. I missed out the 1972 era. If you remember we split Eastfield and all went our own ways to others schools. I ended up 2 years at Eastfield High, then from 1969/73 the grammar school where I was proud to fail my 'O' Levels due to excessive listening to RNI (Radio North Sea International), the pirate radio of choice for my generation. I only started going out in 1973 whilst I was still at school. Yes, I remember the split lips from lack of sleep too. We used to do at least 4/5 nights out at either Baileys or Annabela's. I probably will remember people by sight and not names, especially from about 6' 5", because my platforms nearly made me touch the ceiling. Who was the small chap with the moustache that used to live down Hawthorne Avenue you hung around with? I remember him up on the floor alot too. You mentioned a coach load came in to Baileys once! The conversation I had with Tim( the DJ at Baileys) a few weeks ago, and he said do not discount Hull's contribution to soul music of that generation because of the imports that were played at the club. At the time he did not realise the sigificance, but for coach loads of dancers to come to Baileys, there must have been a good enough reason (and maybe not to return ha ha). 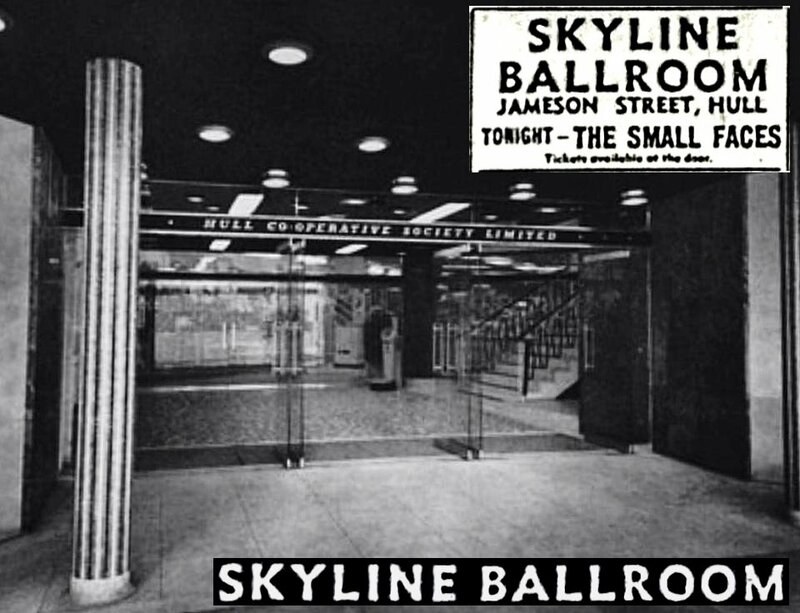 Do you think, from your experience we were prvilaged and had some of the early sounds played there, but did not know it at the time? I think this is important, because I remember you flying off to Wigan and hearing all the tales on 'Steve Massam's 'Sunday Soul Spinners' eveing the next day (you know the one, where we all legged it for the last bus after around 1115pm and 'a bun in the oven' job ( was that the name?). Your colleague used to tell us the 'dance' stories. Imberboy, are you actually from Hull then? I seemed to have missed out on the 'travel' to other venues both in and outside the city. I remember the Merchant Navy House, but did not know it had soul nights. I remember the hospital club I think. I guess those were important era's for us all, establishing our charcters etc. Never realised that 35 years later we would be chatting about it on a PC though? I just tried to speak to Paul at the Triton, but he is not there yet. Maybe later. Paul Rusling was a DJ at Baileys, but it is not the same Paul I am referring. The Triton pub owner set up Laser 558 in the 1980's! Now there's a story...I just had a chat with him...fascinating. Hello, my name is Howard, i was the manager of hull Scamps when carl christian, tony allen were the djs in the 70s , lots to share. Cmon back to me.